Bottles - Amber & Clear Glass Boston Rounds: Boston rounds are narrow-mouth bottles ideal for all of your liquid storage needs. Bottles - Clear Glass Square Tablet Bottles: We are currently stocking clear flint glass square tablet bottles with Poly-Seal closures and a 1oz. bottle with a brush-in-cap closures. Jars - Amber Glass Wide-Mouth Packer: Wide-mouth packers are ideal for all of your liquid and dry storage needs. Jars - Clear Glass Graduated Medium Rounds: Our graduated rounds are made of clear flint glass for maximum content visibility. 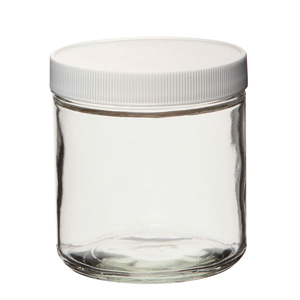 Jars - Short Straight Sided with PTFE Lids: Clear Glass Straight Sided Wide-Mouth Short Jars w/PTFE Caps are ideal for all of your liquid and dry storage needs.